The Model 3100 Series Mass Flow Meter is a new, ad-vanced high-precision flowmeter developed based on the Model 3200 Series. The incorporated innovative capillary type flow sensor reduces pressure loss and ensures high response as well as ensuring stability. • Equipped with a temperature follow-up type current difference detection flow sensor to ensure high accuracy and quick response. 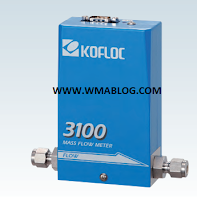 • Measurements of minute flows available up to 1 SCCM full scale (SR option). 4. Linearity : Within ±0.5% F.S. 5. Repeatability : Within ±0.2% F.S. - Optional: 1/8SWL® 1/4VCR® RC1/4®, etc.